Home Listen More, Speak Less! We love to talk. We talk at home, while on our way to work, at work, post work and again when back home. Basically human beings are programmed in a manner that they are never satisfied unless they communicate with other human beings. Verbal communication is the most prevalent amongst all kind of communications. It is also many times a one way communication. We even love talking to our pets endlessly knowing the fact that the dog will not talk back to us! However, while on our march towards talking endlessly we end up listening very less. 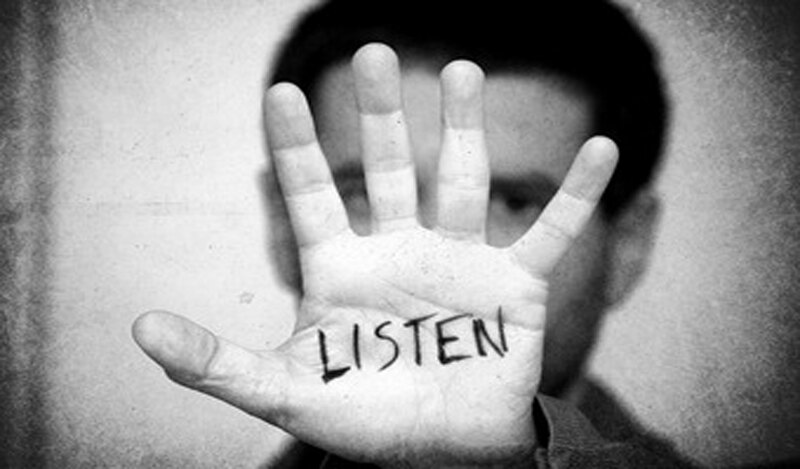 To listen someone carefully is the best way to make the person understand that you are considering him important. What the person is saying is accepted by every cell in your body when you pledge to listen attentively. Remember from your childhood and see that you mostly felt comfortable being with those friends and family members who listened to you for hours before speaking back in return. One can realize that many times is happens that when the individual in front of us is talking to use, we inside our minds is preparing to our answer back right at the moment the individual stops talking. It signifies that we were not listening carefully while he was speaking. Because we were making our own personal preparations at the time he was speaking. Many times due to this habit we miss things told to us. At places of work such habits can be dangerous as it can lead to inefficiencies. Very few people respect this thought of talking less and hearing more. Hearing patiently with full concentration will help us see many things which you would have missed observing. A quiet mind will also pick up signs and symbols thrown by an individual through body language, facial expression and hand gesture and movements. However, if you are busy chanting your next sentence then it is guaranteed you will not notice anything. It is not a big crime to talk. We have been given our mouth and vocal chords for talking and communicating to everyone around us. Speaking out is very important as it is the most important way one can express himself. But it is very much necessary to understand how much is quite a lot. One must understand that no one loves a complete chatterbox whose talks have absolutely no meaning and significance. Listening can be the best way one can bond with another. By giving someone an eager ear will help you gain the faith and confidence of the person and he will feel you to be the most eligible person to share things with. So, from now on let’s use our ears more than our mouth.